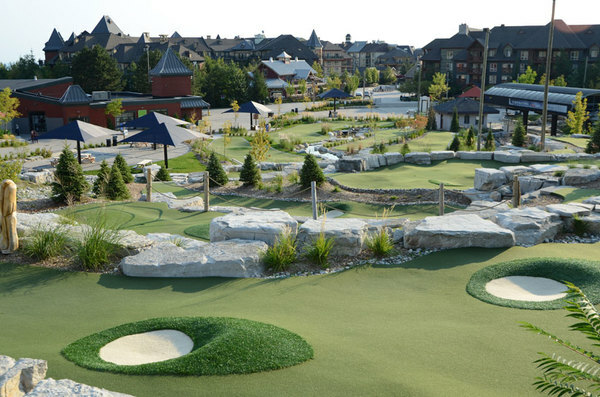 Sometimes there is nothing “mini” about a mini putt: When Steve Young was contracted by the Village of Blue to design and supervise the construction of a mini putt attraction right at the centre base of Ontario's largest ski and mountain bike resort, he knew that this would be a massive project with a breathtaking, stunning outcome. 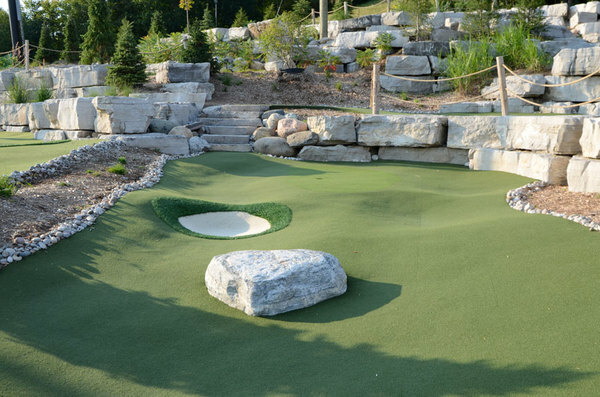 Thanks to Steve's artistic, multi-layered and three-dimensional approach, this new mini putt attraction at the Blue Mountains will help the resort operators to draw huge crowds for years to come. 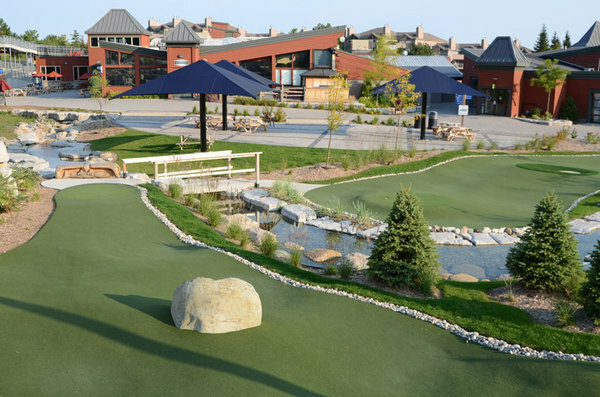 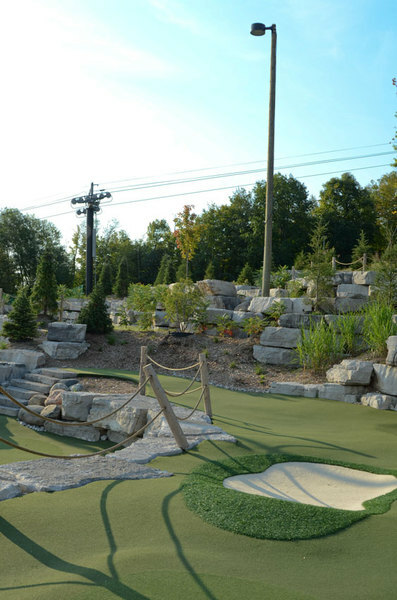 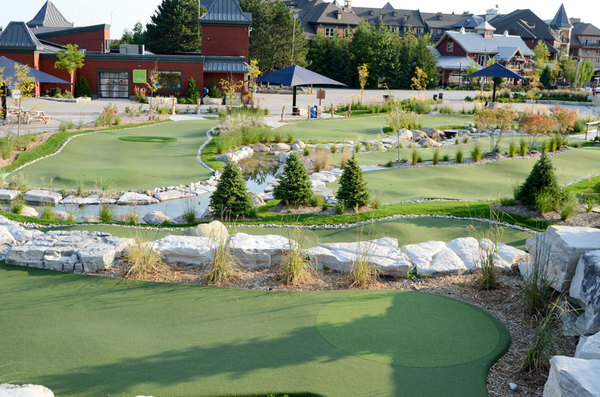 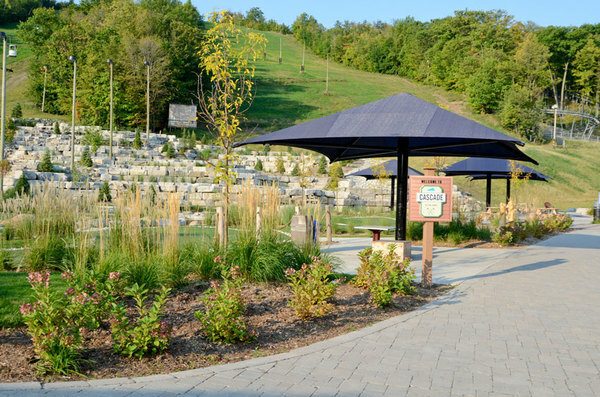 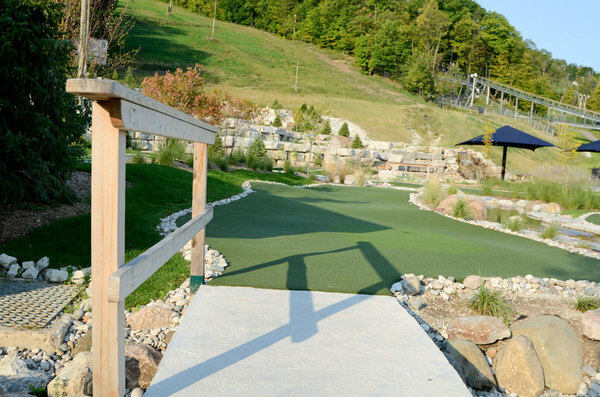 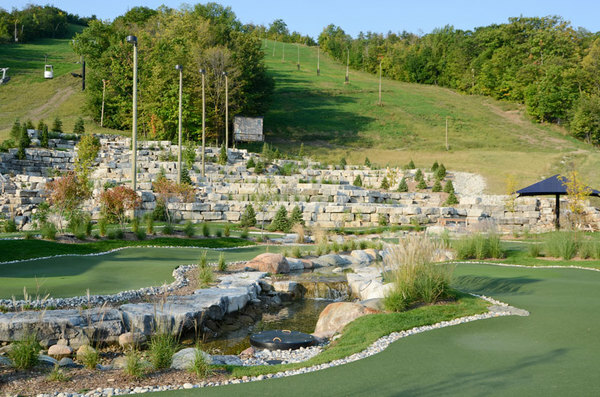 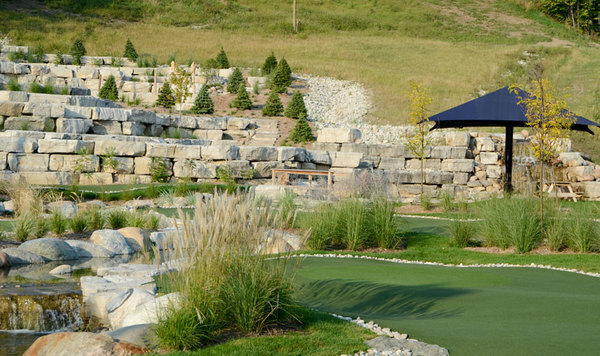 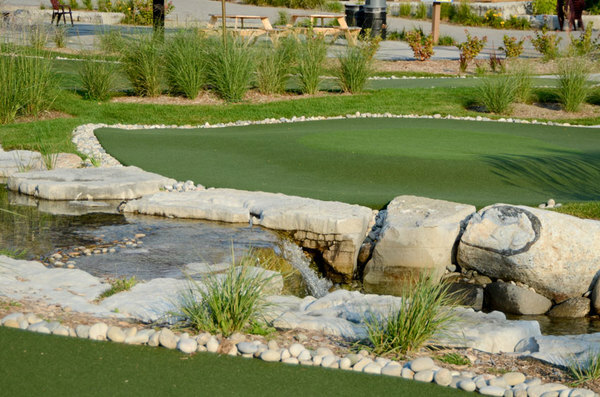 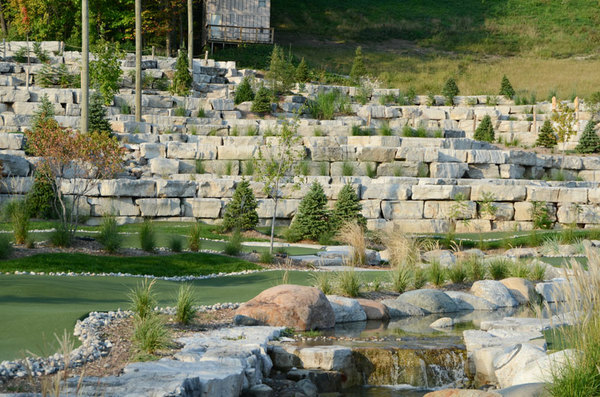 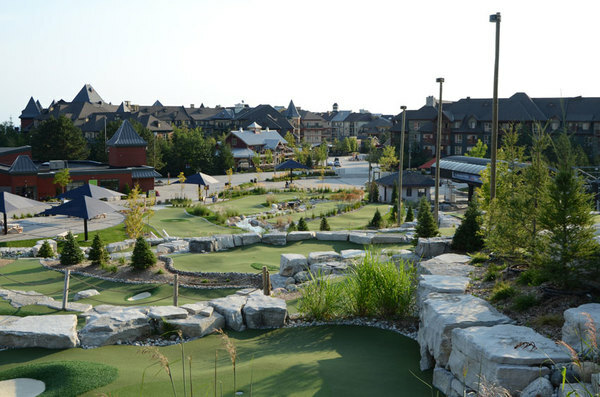 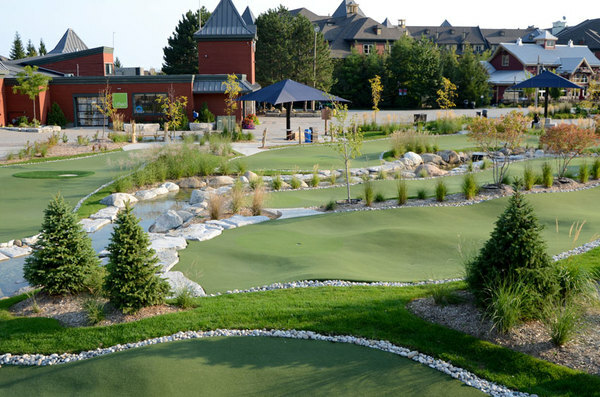 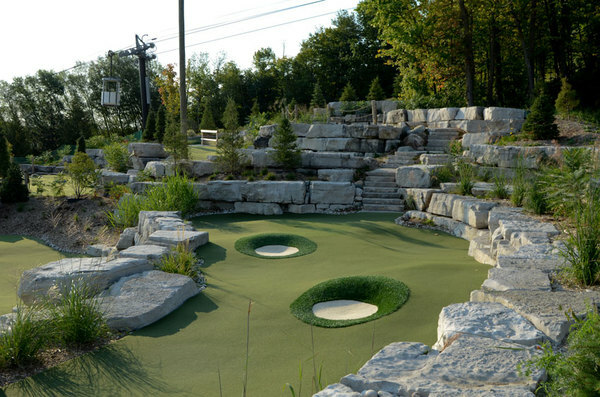 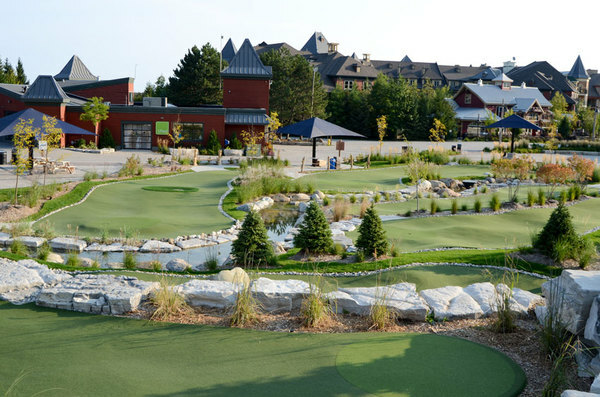 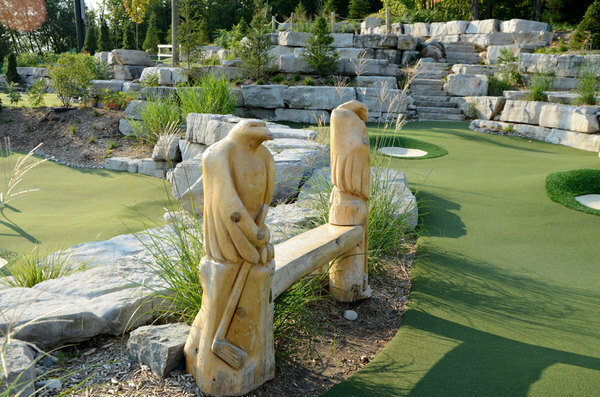 The layout is beautiful and uses the tasteful features of the natural surroundings: A natural creek cascading through the attraction, massive boulders resembling the rock formation of the Niagara Escarpment, lush greens and a challenging but very playable course layout make this mini putt stand out from anything else you will ever encounter.